A nineteenth century, miniature, cast iron, double ended, lace iron. 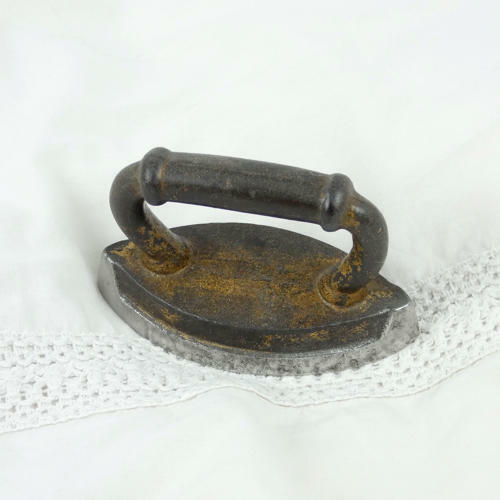 Lace irons were usually very small for dealing with the delicate fabrics. This one doesn’t have any manufacturers marks and it dates from c.1880. Originally the upper part of the iron was painted gold but this is now quite worn from use. It is in very good condition.